The 2018 Shannons Targa Rallysprint Series revs into gear on Thursday 2nd November backed by new sponsor Axis Hire, a Western Australian heavy vehicles and earth moving equipment hire company. Axis Hire are also supporting the GT Fabrication Rallysprint in Bunbury in June 2018. Axis Hire proprietor and GT Fabrication Targa Rallysprint competitor Mark Cates said he felt it was important to support the series. “I’ve competed in two Rallysprint events in Bunbury and I’ve been so impressed with how well run the events are - I know the organisers do it on a shoe-string. Axis Hire has come on board to help the Rallysprint series become bigger and better,” Mr Cates said. Cates, the owner of a Ferrari 488 Spider that he raced in the 2016 and 2017 Rallysprint series, has called for more exotic cars owners to get involved. Competing in Rallysprint doesn’t require the same time commitment or expense as competing in traditional Targa and rally events, thus making it a great introduction to the sport as well as being a good way for rally competitors to keep their skills sharp during the summer months. Event Director Ross Tapper said that Rallysprint requires teamwork between driver and co-driver. “Drivers will need to negotiate obstacles in close vicinity of the road with the help of their co-driver whilst racing the clock, which is quite different to simply racing around on a race track. “Five of the six events are run on Thursday evenings after work at the Perth Motorplex making it an easy option to enjoy motorsport during the summer,” Mr Tapper said. Rallysprint events are held once per month from November to March on Thursday evenings at Perth Motorplex on a 3.25km course that is run four times, alternating clockwise and anti clockwise each month. Drivers may have multiple co-drivers but each will need a CAMS L2S Licence and Car Club membership, available from Targa West Events. The November Rallysprint Series kicks off the 2018 Quit Targa Cup, which has proved very popular since its inception two years ago. Entries to the Shannons Targa Rallysprint Series are restricted to 80 cars. 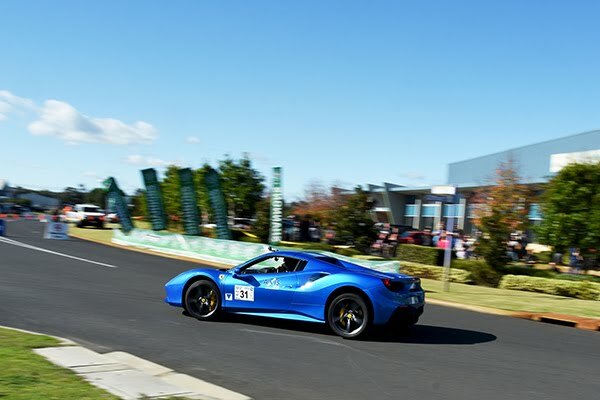 Supporting the Shannons Targa Rallysprint Series alongside Axis Hire is Healthway and the Quit message, Autopro Canning Vale, Perth Motorsport Tyres and STechnic Specialist Subaru Garage.